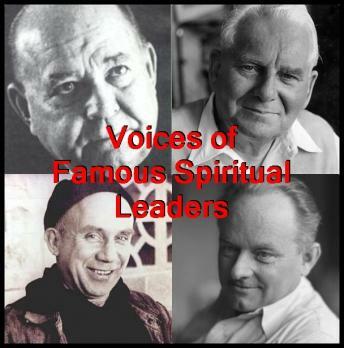 Arthur Ford (January 8, 1896 – January 4, 1971) was an American psychic, spiritual medium, and founder of the Spiritual Frontiers Fellowship. He gained national attention when, in 1928, Ford claimed to have contacted the deceased spirits of Harry Houdini's mother and, later, Houdini himself. Thomas Merton (January 31, 1915 – December 10, 1968) was an Anglo-American Catholic writer and mystic. Merton was a Trappist monk, poet, social activist, and student of comparative religion. He wrote more than 70 books, mostly on spirituality, social justice and a quiet pacifism, including his best-selling autobiography, The Seven Storey Mountain. Harry Edwards (May 29, 1893 – December 7, 1976) was a well-known spiritual healer, teacher and author who had a career of nearly 40 years. For decades he demonstrated his gift in many large public halls in Britain, including the Royal Albert Hall in London, and also in venues in other countries. Ernest Holmes (January 21, 1887 – April 7, 1960) was an American spiritual writer, teacher, and leader. He was the founder of a Spiritual movement known as Religious Science, a part of the greater New Thought movement, whose spiritual philosophy is known as "The Science of Mind." He was the author of the book, The Science of Mind and the founder of Science of Mind magazine.